Despite holding center stage for the past couple of decades, if you were to ask homeowners in Toronto about their favorite countertop material, the majority would still choose granite. Some of them are absurd. Others are plain outrageous claims without any facts to back them. Let’s find out the top 5 myths you are likely to hear about Granite especially if you are looking to install it in your new kitchen. One of the commonest statements that is aimed at deterring homeowners from installing Granite countertops is that it requires frequent upkeep. Granite is one of the hardest stones on the planet. It is resistant to heat, scratches and most chemicals. And contrary to what you heard, annual resealing may not be necessary. Please read our article – ‘The Water Test’, to understand how to determine if your granite countertop needs resealing. Most newly installed granite countertops do not need resealing for years. When Granite countertops first made an appearance, it was sourced mainly from one or two countries and container shipped to Toronto and other parts of Canada. However, currently, the supply is abundant. Africa, Brazil, India, Italy, Saudi Arabia and even the United States have granite quarries with ample supply. With such an abundant supply, the prices have reduced significantly. And if you consider the long lifespan and low maintenance, it is hardly an expensive choice. Says who? 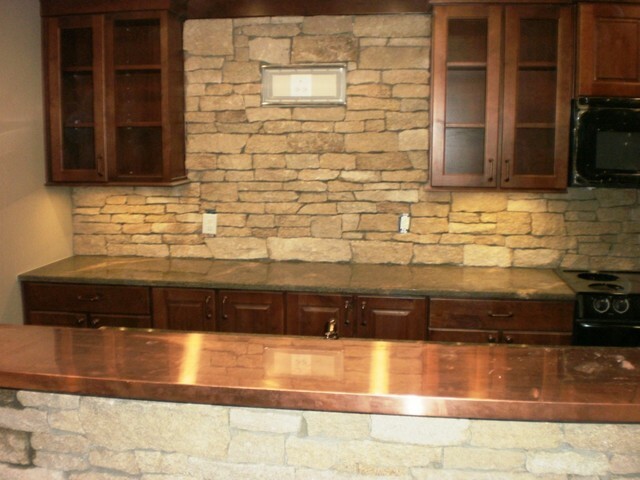 In 2012, Granite countertops were installed in 75% of new Kitchens. That’s a staggering figure that stands testimony to the fact that homeowners still prefer the stability and durability that comes with granite. It is one of the most versatile stones available in over 6000 different designs that allow it to be used anywhere around the house. There are no numbers that indicate that the granite trend is over. It is here to stay and your Granite countertop won’t look dated in the next couple of decades. The origins of this myth can be traced back to the time when Durian introduced Corian to the market. However, there has been no scientific study that links Granite or any other natural stone to the emission of Radon. For those who are unaware, Radon is a naturally occurring gas that is emitted when Uranium, present in the earth’s crust decays. Once it comes in contact with the air, it dissipates rapidly. In fact, radon emissions have been traced from cement and concrete and not Granite. So, you can be rest assured that your Granite countertop won’t kill you. When was the last time you saw a business that offers Granite repairing services? There are very few. Because Granite hardly gets damaged. Unless you decide to test the durability and try to break it with a very heavy object, granite will not be chipped or broken easily. If it does, it can be repaired easily with coloured epoxies. If you are looking for a maintenance free countertop material for your kitchen in Toronto, by all means, go for granite. Don’t let these myths deter you from buying it.